Huge congratulations to Mary and Colin who were married at The Old Parish Rooms, Rayleigh – one of our most favourite Essex wedding venues! They chose to have a naked wedding cake but I made this slightly different than normal as neither Mary nor Colin are huge fans of buttercream, so with this in mind I went down the more “chunky” route with the cakes – two layers of sponge and one layer of filling instead of the normal four and three. 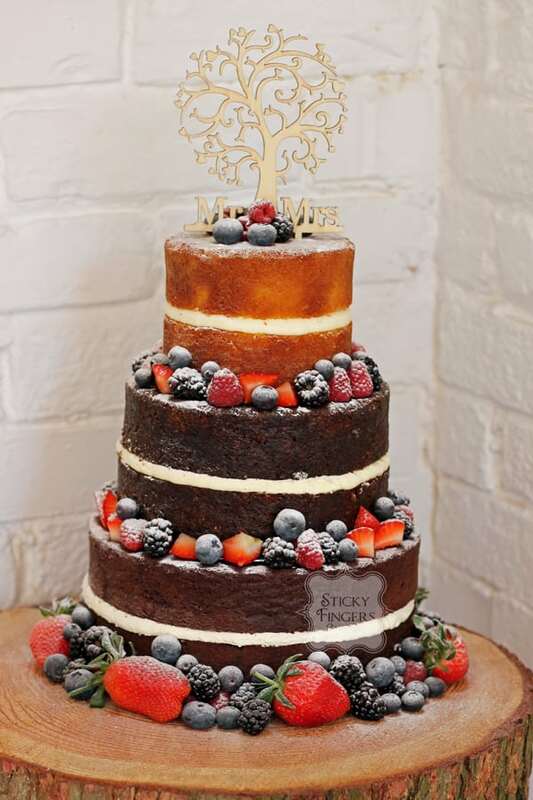 Their yummy flavours were Black Forest, Carrot & Pecan and Zesty Orange, decorated with seasonal berries, a dusting of icing sugar and their cute rustic cake topper. We wish you every happiness for the future!